The Association for Public Art (aPA) plays a leadership role in protecting and preserving Philadelphia’s public art – both through conservation efforts and advocacy. 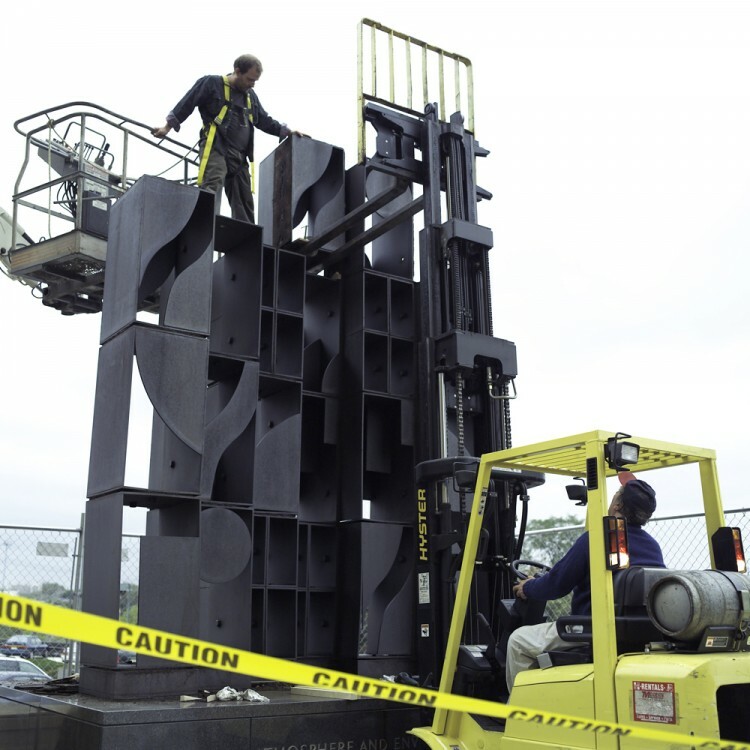 The Association for Public Art (aPA) provides annual maintenance for many of the city’s most beloved sculptures, as well as taking on special preservation and advocacy projects as needed. Philadelphia’s outdoor sculpture suffers from both acid rain and airborne chemical pollutants. Philadelphia is truly a “museum without walls” and is considered a livable city in part because of its impressive and unique collection of outdoor sculpture. Yet pollution, acid rain, and vandalism threaten these irreplaceable artistic and cultural assets. The Association for Public Art (aPA) plays a leadership role in protecting and preserving Philadelphia’s public art – both through conservation efforts and advocacy. 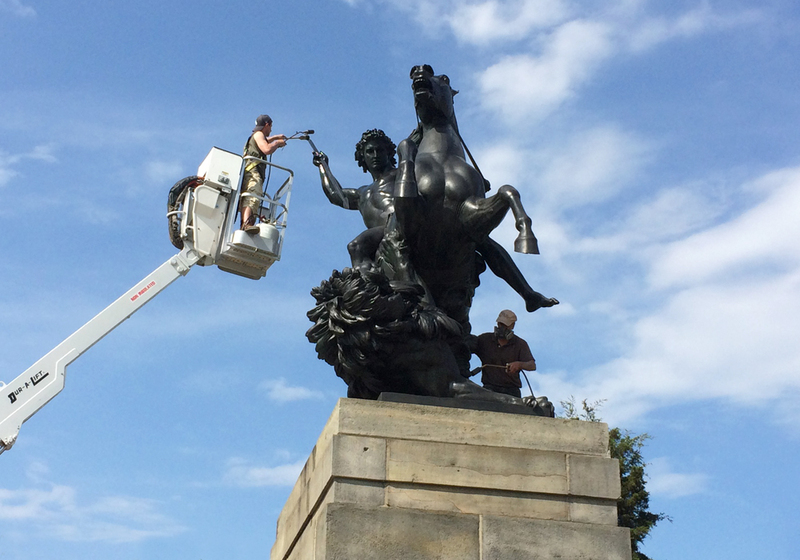 We provide annual maintenance for many of the city’s most beloved sculptures, as well as taking on special preservation and advocacy projects as needed. Conservators treating The Lion Fighter (1858) in front of the Philadelphia Museum of Art. Photo Caitlin Martin for the Association for Public Art. Concern for the condition of Philadelphia’s bronze and stone sculptures led the aPA to initiate a pilot Sculpture Conservation Program in 1982, the first of its kind in the nation. With generous support from the Mabel Pew Myrin Trusts, a select group of sculptures of historic and artistic significance were identified including Abraham Lincoln (1871) by Randolph Rogers, Cowboy (1908) by Frederic Remington, and Three Way Piece Number 1: Points (1964) by Henry Moore to receive initial conservation treatment by professional conservator Steven Tatti of SAT Inc.
Philadelphia’s outdoor sculpture suffers from both acid rain and airborne chemical pollutants. Because of prevailing wind patterns, Pennsylvania receives some of the highest amounts of acidic precipitation in the nation. Even “durable” materials are no match for acid rain, and require ongoing conservation maintenance in order to arrest further deterioration and improve their aesthetic appearance. 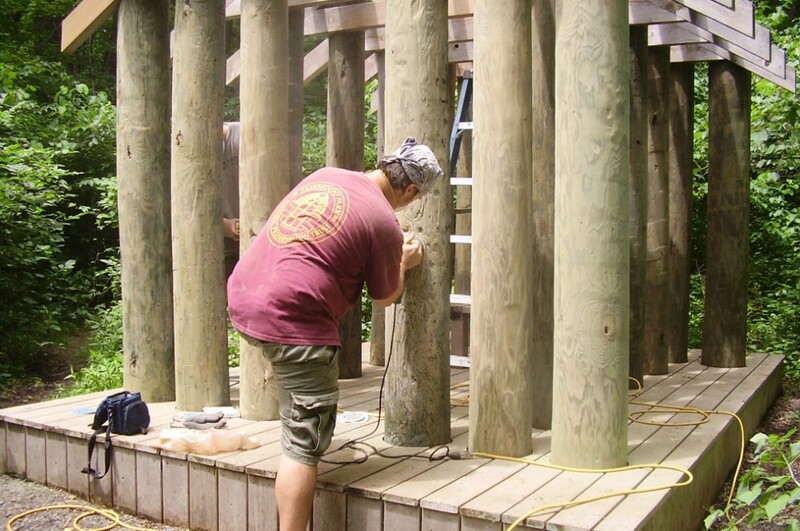 The aPA has been able to undertake an annual maintenance program since the initiation of the 1982 pilot Sculpture Conservation program. It is perhaps the longest continuously operating program of its kind in the country. 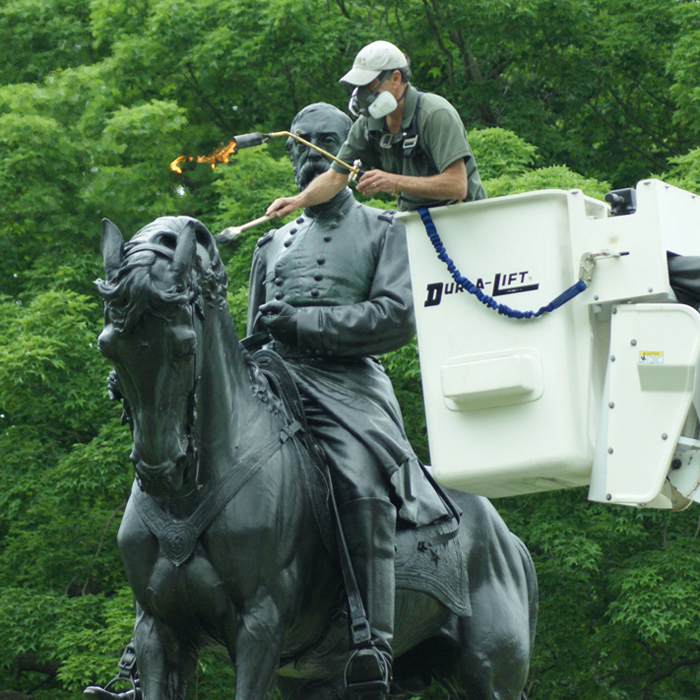 The aPA’s maintenance procedure … involves the removal of surface grime and graffiti, washing, and the application of a special wax coating for the bronzes. 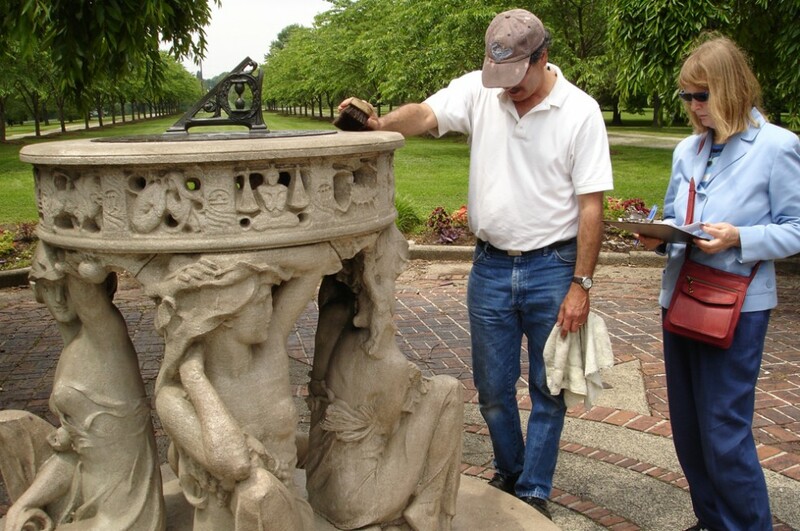 Each spring, the aPA works with conservators to conduct annual maintenance on over 30 works throughout the city. The sculptures and their bases are made from a variety of materials, including bronze, weathering steel, wood, limestone, marble, and granite. As each material presents unique maintenance challenges in response to environmental conditions, our conservation team must rely on specialized treatment procedures that respond to the needs of each one. 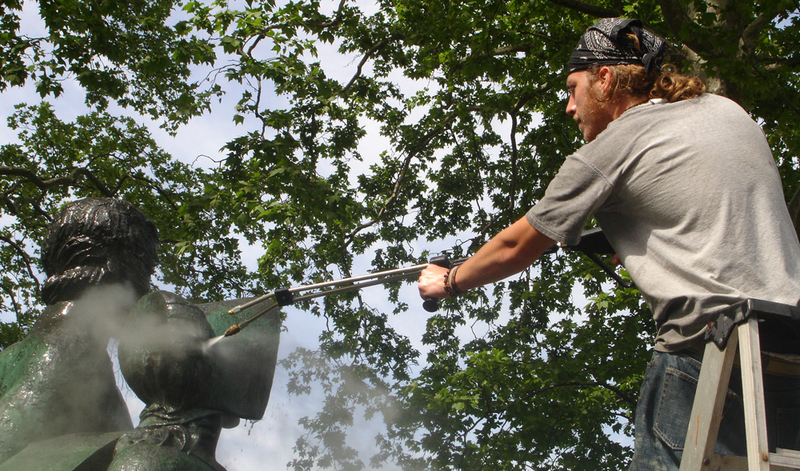 The aPA’s maintenance procedure is conducted by trained professionals that begins and ends with a general condition inspection of the sculpture, and involves the removal of surface grime and graffiti, washing, and the application of a special wax coating for the bronzes. 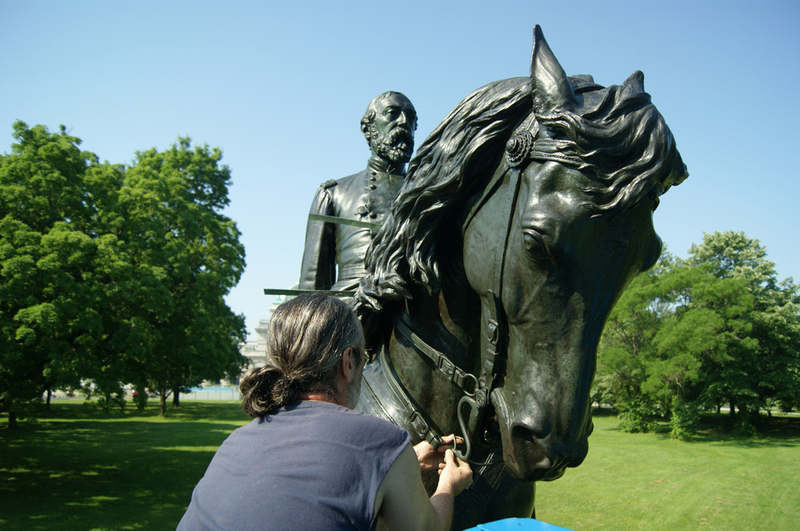 The sculptures are cleaned, protected, and stabilized to protect them from further deterioration and corrosion. This study concluded that the initial treatment utilizing the application of a hot wax protective coating, followed by routine annual maintenance, indeed arrested deterioration. The aPA works with the City and other agencies to support the preservation of Philadelphia’s public art for future generations. Projects include the completion of an extensive conservation treatment to Martin Puryear’s Pavilion in the Trees with the Fairmount Park Conservancy (formerly the Fairmount Park Historic Preservation Trust), initial conservation treatment of Sylvia Shaw Judson’s Mary Dyer with Friends Center and Norton Art Conservation, Inc., and the fabrication and installation of replacement pieces for Alexander Milne Calder’s Major General George Gordon Meade. In 2001, the aPA undertook an assessment of its Conservation Maintenance Program, concentrating on the bronzes, by senior conservator W. T. Chase. This study concluded that the initial treatment utilizing the application of a hot wax protective coating, followed by routine annual maintenance, indeed arrested deterioration. A recommendation from the study to periodically clean the wax coatings led to the complete removal of layers of old wax and the reapplication of new protective wax coatings for several sculptures including Thorfinn Karlsefni, Shakespeare Memorial, and Spanning the Continent. The plan is to carry out this process as resources allow. The Conservation Program has received many awards, including the National 2000 Award for Outstanding Commitment to the Preservation and Care of Collections from Heritage Preservation and the American Institute for Conservation, the 2002 Henry J. Magaziner EFAIA Award of the Philadelphia AIA Historic Preservation Committee, and the first sculpture conservation grant from the federal Save America’s Treasures program in 2004. Funding from the National Endowment for the Arts’ Save America’s Treasures award, the Getty Foundation, and The Locks Foundation, was raised to treat Louise Nevelson’s corten steel Atmosphere and Environment XII (1970). Working with the Conservation Department at the Philadelphia Museum of Art, this monumental sculpture received comprehensive treatment from 2005 – 2007, including its complete de-installation, restoration, reinstallation, and a rededication ceremony featuring the artist’s granddaughter, now head of the Nevelson Foundation. The aPA works in cooperation with civic organizations throughout Philadelphia to preserve and protect the city’s outstanding collection of public art. 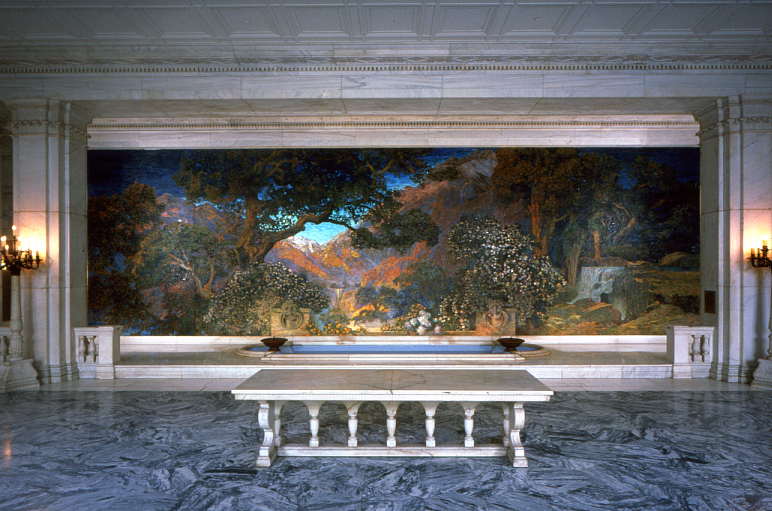 When the famed mural, The Dream Garden by Maxfield Parrish, was threatened with sale and removal, the aPA became actively involved in efforts to secure the artwork in its original location in the Curtis Building. The aPA worked with the Philadelphia Volunteer Lawyers for the Arts to represent the public interest in the complex regulatory and legal proceedings to save the mural. The aPA also seeks protection for public artworks by supporting their nominations as “historic objects” by the City of Philadelphia Historical Commission. Designations include Walker Hancock’s Pennsylvania Railroad Memorial in 30th Street Station, August Gaul’s Eagle in the former Wanamaker’s Department Store, and Frank Edwin Elwell’s Dickens and Little Nell in Clark Park. The aPA is the local coordinating agency for SOS! (Save Outdoor Sculpture! ), a national survey project conducted by the Smithsonian Institution’s National Museum of American Art and Heritage Preservation. SOS! was created to inventory and assess the condition of the nation’s outdoor sculpture and to encourage communities to accept responsibility for the ongoing care and professional conservation of their sculptures. 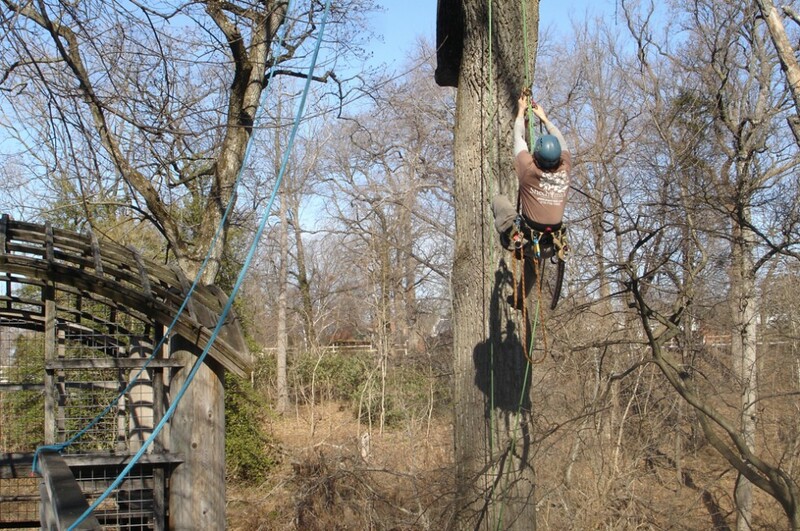 Working in cooperation with the City of Philadelphia Art Commission, the aPA recruited and supervised volunteers to survey more than 700 outdoor works in the Philadelphia area. This information, together with that collected by SOS! volunteers nationwide, was entered into a database at the Smithsonian in Washington, DC to create a permanent, comprehensive record of the nation’s outdoor sculpture.